Harry Lumley was enshrined in the NHL Hockey Hall of Fame in 1980. 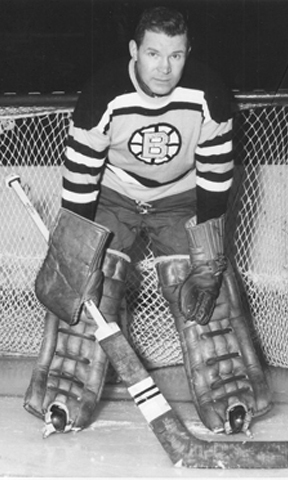 Harry played in 58 games with Providence in 1958, recording a 3.59 GAA, a 27-29-2 record and four shutouts. In the 1943-44 season, he made his professional debut with the New York Rangers. He was just 17 years old, the youngest goaltender ever to play in the NHL. In 16 NHL seasons between 1943 until 1960, he recorded a 2.75 GAA, a 330-329-142 record and 71 shutouts in 803 games. Lumley won a Stanley Cup championship with Detroit in 1949, played in 3 All-Star games, and won the Vezina Trophy as the NHL’s best goaltender in 1953, a season in which he registered 13 shutouts, breaking the league record at that time.